In this talk you will learn how to use Power BI to prototype/develop a BI solution in days and then (if needed) evolve it into a fully scalable Azure BI solution. 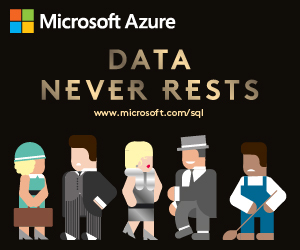 The goal of the session is to show, with a real-world example, how to use Power BI as a prototype solution (with real data) and the process to scale-it-up to a fully scalable Azure BI solution using Azure AS and Azure SQL DB. In the process I will share a few tips & tools that you can use to help you in that process.